Indoor rowing is not just suited to strong young men and women, it is a low impact exercise that is good for an ageing body. Studies have also shown that using a rowing machine as an older person is good for building physical stamina, stimulating bone growth and building bone mineral density. Indoor rowing is great for people in their 40s, 50s and 60s and older, reaching almost all your muscle groups to spread the load across your shoulders, arms, back, legs and abdominal muscles. If you’re new to indoor rowing, it’s wise to build your training program gradually and sensibly. Make sure to check with a doctor before you start any new exercise regime. One advantage of using an FDF indoor water rower in your older age, is the fact that you are in complete control of the resistance level. FDF’s patented twin tank technology moves water levels between two tanks, creating resistance levels that range from feather-light to Olympic strength. This means that as your strength develops, you can gradually increase your resistance level and introduce progressive training levels. Remember to start off with a resistance that is appropriate to your level of fitness and slowly build up over time. First Degree Fitness have introduced an optional lumbar support chair back for indoor rowing machines. Keeping the elderly and disabled more active through indoor rowing, the modified seat is a popular option for rehabilitation facilities. 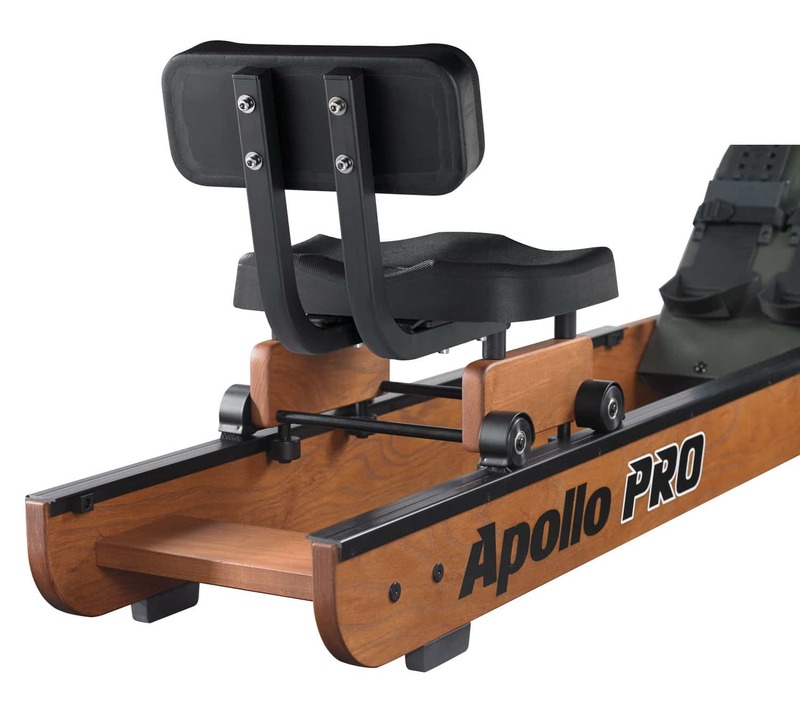 A new alternative to the traditional indoor rowing machine seat, the lumbar support chair introduces a more stable seated position without inhibiting rowing function. Beneficial for anyone who is frail, elderly or undergoing rehab, this modified rowing seat enables greater participation in indoor rowing. FDF’s medical upper body ergo’s have been designed to support cardiovascular training for seniors and rehabilitation patients. Cycle ergometer training has been proven to improve functional status, muscle strength and cognitive performance – all important factors in contributing to quality of life. Many FDF upper body cycles for seniors can be used in either a sitting or standing position, with selected designs being wheelchair accessible. An effective endurance training tool, FDF’s upper body ergometers provide a bidirectional workout, which works to enhance reciprocal muscle group balance. Browse the range of upper body ergos.